In order to bid on city projects, make sales to the city, or conduct other business with the City of Racine, vendors must go through the City Purchasing Office. The Purchasing Office is located in City Hall, 730 Washington Ave. This office can provide you with all the information you need to submit bids, quotes, or handle other issues. For a list of all current bids for the City of Racine. 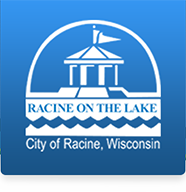 For a list of all current bids for the City of Racine, Street and Building related projects.